Autumn is nearing and with it the Krakow Jazz Autumn, a festival that in its 7 years of existence has established itself one of the most important festival scenes not only in Europe but around the world. Some of the most versatile and dynamic musicians of the improvised music scene today have starred at the festival, with Peter Brötzmann, Anthony Braxton, Barry Guy and Ken Vandermark taking the lead, giving both concerts and also as artists-in-residence. In addition to these jazz legends, younger artists at the cutting edge of modern improvised music are also returning to the city. The highlights of this year’s Krakow Jazz Autumn will be two weekly concert blocks – Mats Gustafsson’s NU Ensemble in October and Ken Vandermark’s Resonance in November. Mats Gustafsson, one of the most important improvisers of his generation in the eyes of many critics, is coming to Krakow at the head of the twelve person orchestra. 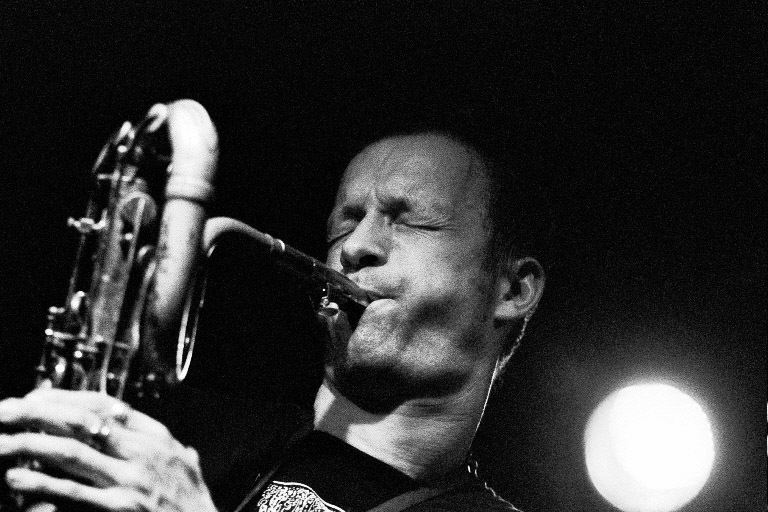 Gustafsson has played on the Krakow festival stage many times; with the saxophone, star formation, Sonore and renowned band, The Thing. This year, he is here with a select formation, not seen nor heard for almost a decade on the international scene, the NU Ensemble. Consisting mostly of Scandinavian musicians, the formation includes renowned rhythm section Ingebrigt Haker-Flaten and Paal Nissen-Love from The Thing and tube virtuoso Per-Åke Holmlander. The line-up is completed by distinguished guests from other countries; Austrian DJ, Dieter Kovačič (known as dieb13), Catalan pianist, Agustí Fernández, and two fine musicians from the United States representing the new generation of improvisers; trumpeter Peter Evans and saxophonist Joe McPhee, living legend on the free-jazz world scene. In Autumn, they will come to Krakow not only as the stars of the first part of the festival but also as a workshop band, as an orchestra and as a collection of small line-ups, whose performances for 4 consecutive evenings in Alchemia will be a prelude to the grand finale at the Manggha Centre. 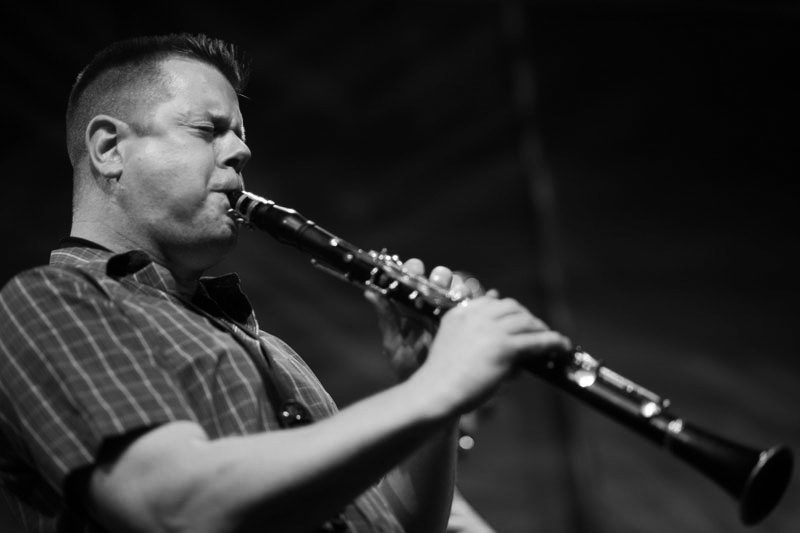 Following a 2 year break, Ken Vandermark’s Resonance will play in November, a group very important in the festival’s history and one which embodies one of the essential aspects of the festival, namely, the creation of artistic events between artists from different countries. Over 6 years in existence, the US-Swedish-Ukrainian-Polish band, has become one of the most important, regularly playing ensembles on the improvised music world stage. It was however, here in Krakow that the group was born. Their first recordings were made here, recorded by Krakow’s Not Two Records as part of an impressive 10 disc box set that documented the work of both small formations as well as a great orchestral finale. Resonance returns to the festival in both an intimate version and as a large format band, but with a slightly different line-up. Along with old friends from the past such as Tim Daisy, Dave Rempis, Michael Zerang, Steve Swell and Mikolaj Trzaska, there are musicians with a slightly shorter presence in the group, such as Devin Hoff, the American bass player and Waclaw Zimpel, a clarinetist well-known to the Polish audience. The Polish improvised music scene is also an integral part of the Krakow Jazz Autumn, especially given that over the years it has grown stronger and more artistically vibrant, more boldly engaged in the history of European improvised music. Among the guests are both already recognized musicians and representatives of the upcoming generation of Polish improvisers. 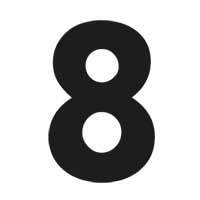 A detailed list of Polish guests at the festival will be announced in the coming weeks. Not only about concerts, workshops and musical presentations, for years the event has gathered together the most important representatives from the media: famous journalists, prestigious magazine editors and festival organizers from throughout Europe and the world. Since last year, these people have also acted as panelists in the Contemporary Music Agenda – an institution established as a forum to discuss the most interesting directions of musical development, its place in the media and its most effective means of promotion. © 2019 Krakow Jazz Autumn Festival. All rights reserved.